78-79 have less bulbs in pod. 87-88 have the same pod bulbs. * may have to purchase 10 at a time, wholesale. Central warning acknowledge, seat belt, and central locking are the same as used for the warning bulbs w/plate. Last edited by PorKen; 03-17-2007 at 02:56 PM. Thanks! It took all day! Mainly, I'm prepping the car so 'Honey Bunny' can drive it. But really, I just like to have all new bulbs on a new car! I'm sure a vendor (Specialists?) 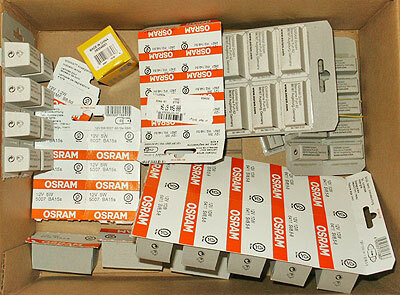 could put together a complete kit for 1/3 of the retail per bulb price for all these. I did all the bulbs from blister packs on the '81 when I bought it - that was expensive. I guess I'll have to do both the '86 and the '81 too! I have been watching one vendor in particular with reference to the LED lights. It all looks so snazzy. Actually, this is about half of the bulbs - I couldn't wait, and replaced a bunch at my friend's shop! Here's the 85- gauge warning lights. 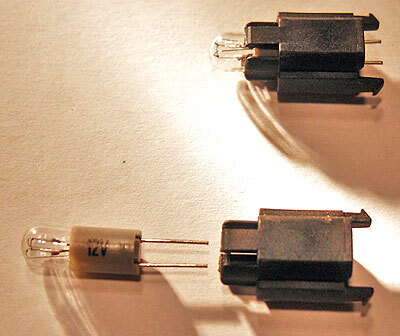 These are larger than the PRND32 bulbs. The early type. The oil pressure is similar but reversed. Anyone have a cross reference list for the same locations, but with LED bulbs? The thing with LED alternatives is that there are many choices that one must make concerning colors, brightness levels, price, and what modifications one is willing to do. Also there is the lost functionality of the bulb check computer, cruise control, and an ever present 'stop lamp' warning. These festoon bulbs are slightly longer than stock but will fit without too much trouble. I will make a standalone thread once I have finished and am satisfied with the results. Hope this helps. Last edited by Majestic Moose; 01-21-2019 at 07:18 PM.